This cool, ultra-sleek electric opener and preserver is this year's hottest gift for the wine lover. State-of-the-art for the bar, it's presented as a set for the very first time. 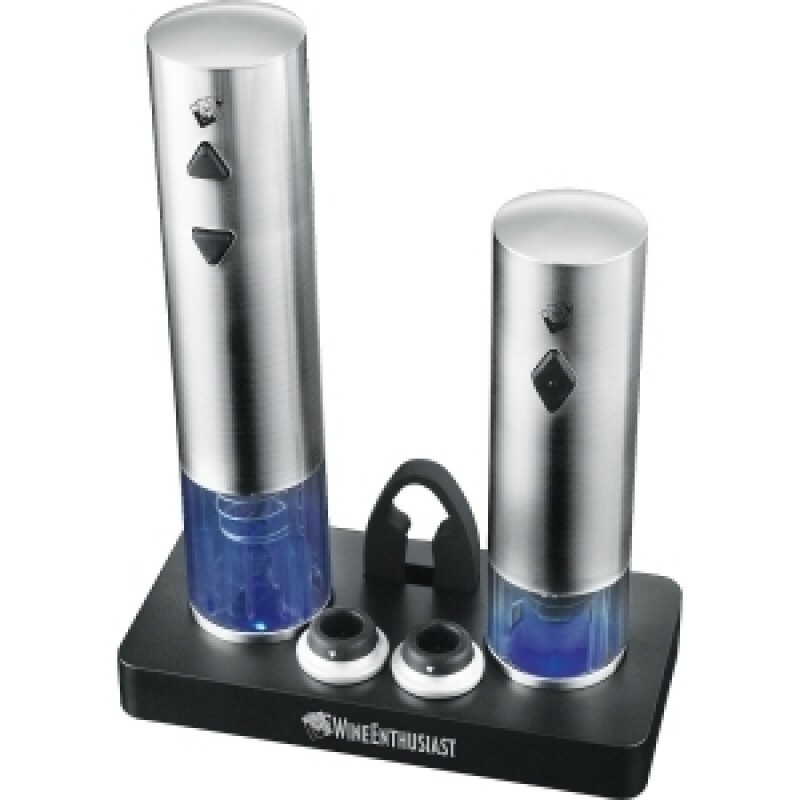 The Electric Push-Button Corkscrew releases a cork in seconds while the Electric Vacuum Preserver extracts oxygen automatically [no manual pumping required]. Preserver operates with a humming sound when extracting. Stoppers provide the perfect seal with date-set mechanisms for reference. Doubling as stylish nightlights, cool blue light fills the corkscrew window when in motion or charging; and the vacuum window when charging. 8 hour charge.